But industry leaders suggested the retailer should not turn it into an ‘outdoor-good and indoor-bad’ notion. The Co-op will stock RSPCA Assured outdoor bred pork on its own-brand produce. Own-brand British meat supplier The Co-operative has committed to stocking 100 per cent outdoor bred pork despite industry calls to avoid an ‘outdoor versus indoor’ welfare challenge. Industry leaders backed the move but said the sector was keen to minimise the ‘outdoor-good and indoor-bad’ notion in parallel with RSPCA Assured and Red Tractor standards. The move will hit stores from July this year with all own-brand standard and premium bacon, sausage, gammon and ham, sourced from UK farms regulated through RSPCA Assured. It said it would offer ‘total traceability’ from farm to fork through a partnership with Tulip Ltd, the UK’s largest high-welfare pig producer. 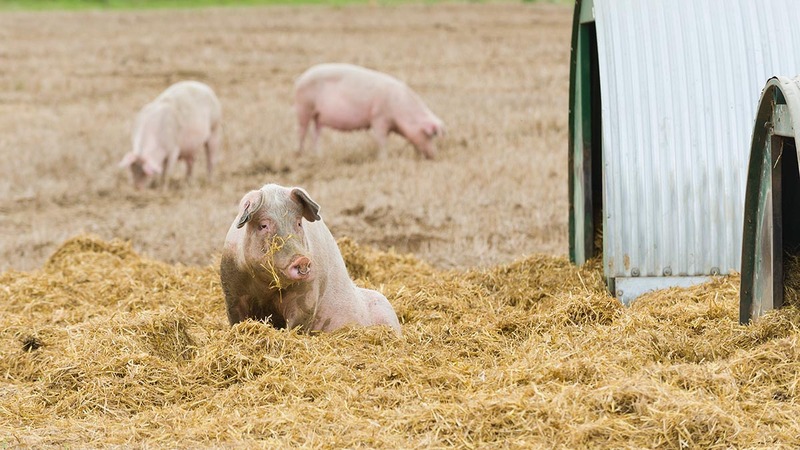 Dr Zoe Davies, chief executive of the National Pig Association (NPA), said whilst she was pleased the retailer promised to stick to 100 per cent British, the industry championed itself for its ability to offer consumer choice. “The key bit is they are sticking with British, which is brilliant,” she said. “For us the whole point is it is important we express the UK has that diversity of choice. “For those who want to buy outdoor bred pork that is fine, but we also supply lovely Red Tractor meat which is important because we do not want to get into the whole outdoor-good and indoor-bad thing. The switch was backed by Farming Minister George Eustice for embracing a growing consumer interest in food provenance, animal welfare and the way food is produced. Currently, outdoor reared pork accounts for 25 per cent of the supermarket’s own brand pork sales. A Co-op spokesman said its pork would continue to be sold at ‘everyday affordable prices’. It comes just over a year after The Co-op committed to backing British agriculture with 100 per cent British own-brand fresh meat in its stores.